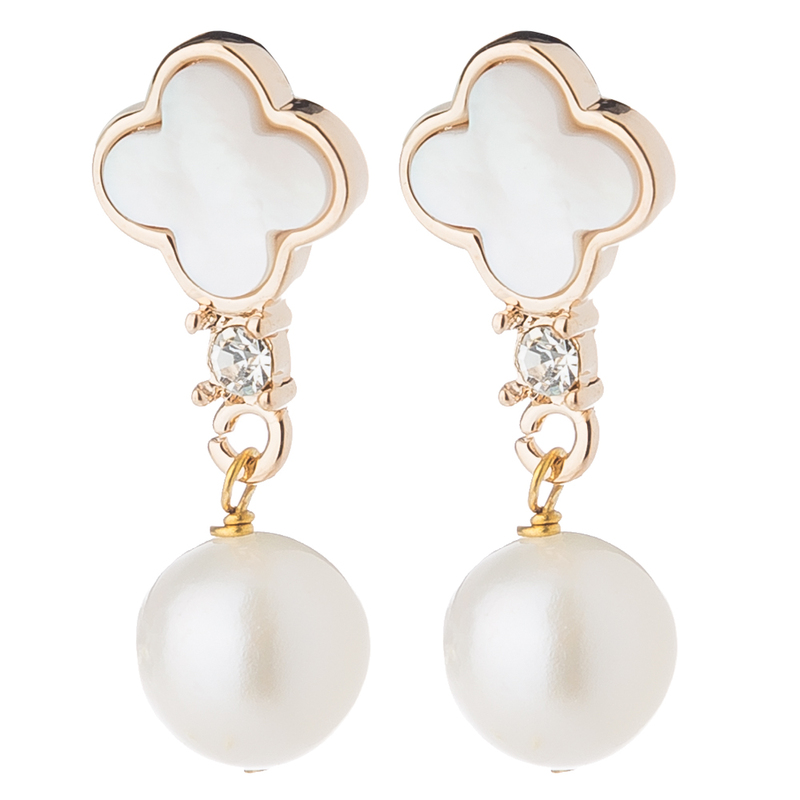 Count your lucky stars and your lucky charms with Bowerhaus' statement Lucky Mother of Pearl Gold Earrings. 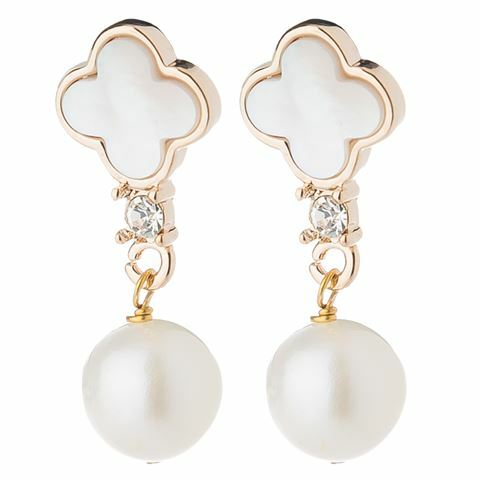 Shining in eighteen karat gold, with clover charms that are set with shell-coated Mother of Pearl, a single Mother of Pearl hangs from each earring. These earrings are the perfect complement to your most sophisticated nighttime look, and will add a little sparkle to your evening, thanks to the faux crystal embellishments. Clover charms are set with shell-coated Mother of Pearl. A single Mother of Pearl hangs from each earring. Embellished with sparkling faux crystals.